Hepatitis liver inflammation may be reduced by specific immune cells. A new study from Belgium researchers reports that a specific immune cell type in the liver can dampen the immune response, reduce inflammation, and protect against liver damage. Researchers at Vrije Universiteit Brussel, Belgium used mice to explore monocytes’ role – immune cells that help fight off infection – in combating liver inflammation. In the case of the mice, the researchers focused on trypanosome parasites because they often lead to liver inflammation. There are two types of monocytes: Ly6c positive monocytes and Ly6c negative monocytes. When the mice were infected with trypanosome parasites, initially more Ly6c positive monocytes travelled to the infected liver, but the Ly6c negative monocytes did follow as well. The researchers found the Ly6c positive monocytes actually increased inflammation and promoted liver damage, while the Ly6c negative monocytes reduced the inflammation and prevented further liver damage. This goes to show that Ly6c negative monocytes can work as liver protection. Researchers now say a means for preventing liver inflammation can result from changing Ly6c negative monocytes in the body. A therapy would either increase their number or function to protect the liver. Liver inflammation is when the liver becomes damaged, or the cells become attacked by either a virus or lifestyle habits. Hepatitis refers to liver inflammation, and alcohol, fatty foods, and toxins can also result in liver inflammation. 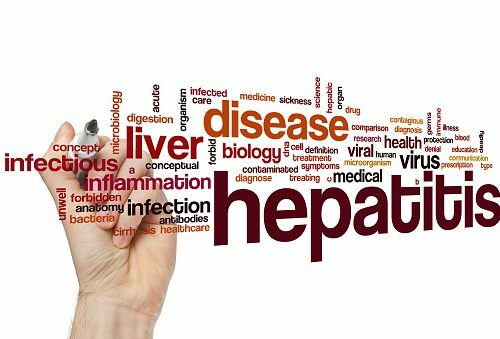 There are a few types of hepatitis – A, B, C, D and E – and depending on which one you have, that determines severity and treatment options. Hepatitis A and B are most common and vaccines are readily available to prevent their onset. If left untreated, liver inflammation can result in the liver not functioning properly and eventually lead to liver disease or liver failure. A liver inflammation that lasts for six months or less is considered acute. When it lasts longer than that, it becomes a chronic inflammation. Following these tips can help you reduce your risk of developing hepatitis and promoting a healthy liver. Eating liver-friendly foods can help as well: leafy greens, citrus foods, and lean meats can promote liver function to ensure it continues to work at its best. Habits like smoking, eating too much red meat, and eating processed foods simply weigh the liver down, making it more difficult to function. The liver is the only organ that can regenerate itself – but if your liver is sick and tired, it just can’t do this properly. Taking the right steps for liver protection is key to a healthier you.